Till now 2018 has been one of the worst years for cryptocurrency which experienced tough times. At the beginning of the year, it was predicted that the overall market capitalization might cross $1 trillion, but the bears took control and the market cap fell to almost $100 Billion. The market has been in a downtrend from one year now and every crypto asset lost its value during this period. Further, cryptocurrency mining was also one of the worst affected sectors in 2018. During this period several companies shut doors which were engaged in cryptocurrency mining operations and TSMC was one of those companies which got adversely affected. 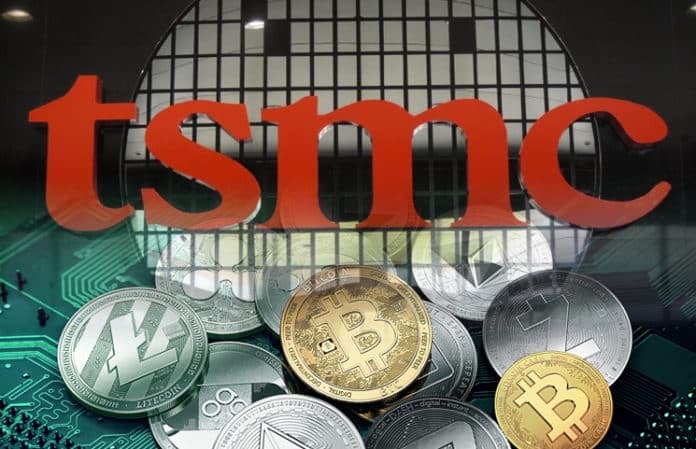 Taiwan Semiconductor Manufacturing Company (TSMC), a Chip manufacturing giant, recently released their quarterly reports which stated that they had incurred a huge amount of losses in the fourth quarter of 2018 due to the inefficient performance of the cryptocurrency mining markets. Though the report did not give specific numbers, Wei just held cryptocurrency responsible for its sales numbers in the previous year and stressed upon stating that the firm “cannot specify too much of the segment, particularly it belongs to one of the big customers.”. It is quite possible that Wei was referring to Bitmain, as it is TSMC’s primary customer. As per the IPO application which was filed by the Bitmain Company with the Hong Kong Stock Exchange in 2018, the company had disclosed that almost 60 percent of its chips were being supplied by TSMC through 2017 and early 2018. Due to the decline in the growth of the cryptocurrency market Bitmain also got affected adversely thereby closing a few of its offices situated in Amsterdam and Israel. Further, as reported earlier basis a research report from China, Bitmain is contemplating to lay off almost half of its workforce and has stopped all the operations related to the mining activities in their Texas mining facility. TSMC is one of the well-known chip-makers in the world. It is mainly focused into High-Performance Computing (HPC) business, but off-late a considerable number of their chips are also being used for the purpose of creating a cryptocurrency mining device for crypto mining firms. Wei also stated that TSMC’s HPC business grew to some extent.